The TRS (Telangana Rashtra Samiti), led by Chief Minister K Chandrasekhar Rao, dropped sitting MP A P Jithender Reddy, who was the party's floor leader in the Lok Sabha, in Mahbubnagar seat. The BJP denied ticket to its sitting MP and former union minister Bandaru Dattatreya from Secunderabad seat. 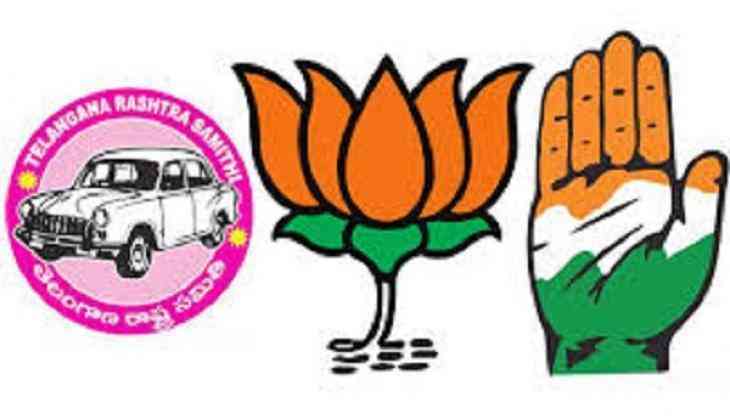 In 2014, the TRS had won 11 seats, the Congress two, while the BJP, the TDP, YSRCP and AIMIM one seat each in Telangana, which has a total of 17 Lok Sabha constituencies. Polls would be held in single phase on April 11 in the state. The Congress, which won in 19 of the 119 assembly constituencies, is reeling under a string of desertions of its MLAs. As many as nine MLAs have announced their decision to join the TRS, dealing the Congress a huge setback ahead of the Lok Sabha poll. However, the party is putting up a brave front. It has fielded key leaders -- Telangana Pradesh Congress Committee President N Uttam Kumar Reddy, Working President A Revanth Reddy and Komatireddy Venkat Reddy -- to send a message to the party cadre that it means business in the Lok Sabha polls.